Hola! For the first blog post of my new feed on the GSA site I’m going to attempt to give a brief outline of skating in South America, stemming from what I experienced on a three month wander around the continent over summer. Parks to know, brands to suss and skaters to follow. I didn’t take any decent camera gear with me for fear of it being stolen so instead I borrowed a cheaper DSLR. Furthermore, a lot of the photos here are taken as mere snapshots to remember certain park layouts. Just a heads up. A few days into my trip I met David Holguin who runs a skate shop in Quito called 1979 and also a board company called Dale! He, Paul Morales, who works for David and also rides for 1979, Vidasur Skateboards and Skateboarding Ecuatoriano and ‘Chocho’ Aguirre who rides for Dale! and Adidas, were extremely welcoming and took a generous amount of time out to show me their city. From David’s shop I bought a fresh Vidasur whip to use while I traversed the continent. 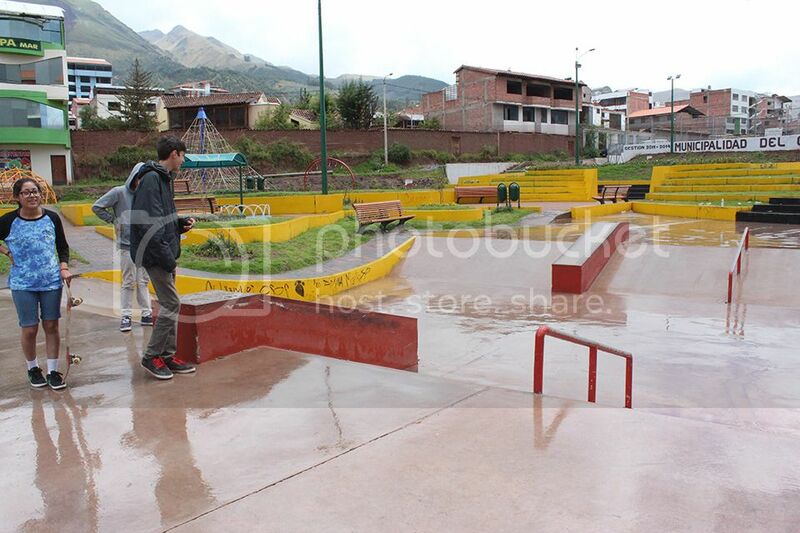 The first place we skated was the Valle skatepark (In Valle de los Chillos, south east of Quito city centre). The park is built in a very picturesque setting, lined with trees and a creek that runs close by. 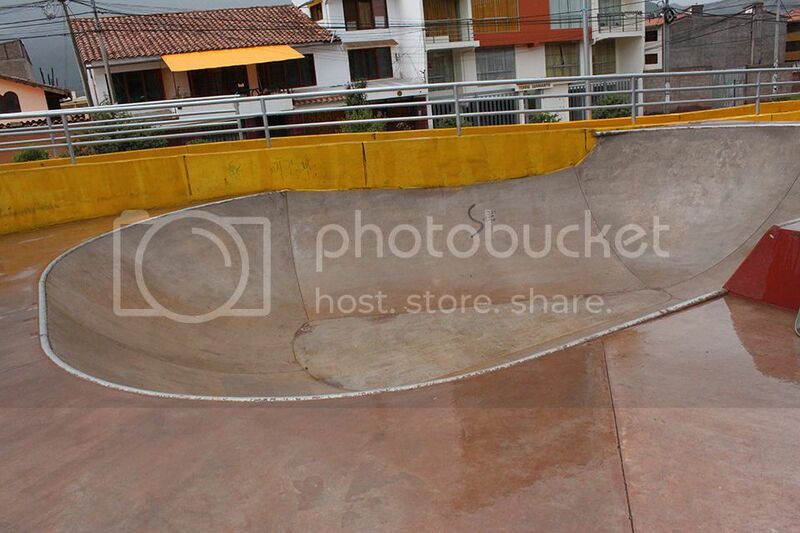 The street section is built within a huge bowl you could say, which is actually a great use of space. All the quarters have next to no transition, much like a pool and in some places like banks. The coping sits in the cement so you can barely see it and often has that satisfying grind sound pool coping makes. We ended up skating there for four hours, which was great because it took me so long to get used to the park. The mini ramp they have there is seriously a death trap. Paul, David and Chocho absolutely shred. 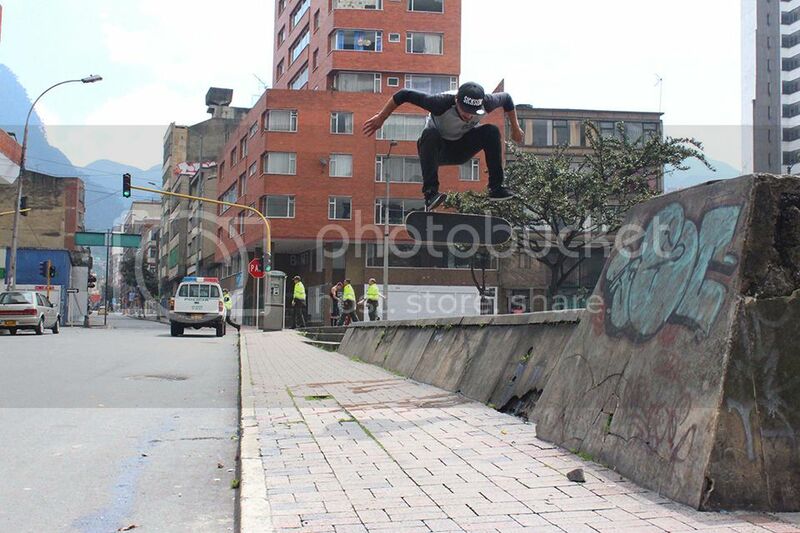 It seems skaters in Ecuador are raw as hell. It shows that they have grown up skating the sketchiest terrain. I can imagine they would shred so hard if they visited Australia’s pristine (in comparison) parks and streets. It’s interesting to notice the lack of hippies skating around in Quito. Everyone is clean cut whereas a large portion of Brisbane skaters have long locks, wear button ups with rad patterns and rock a chiller style. You can see how the surrounding environment, living and social conditions influence skateboarding. We also checked out the famous La Carolina park. This hugely DIY park was built from a failed canal system intended for pedal boats, 30 or 40 years ago. 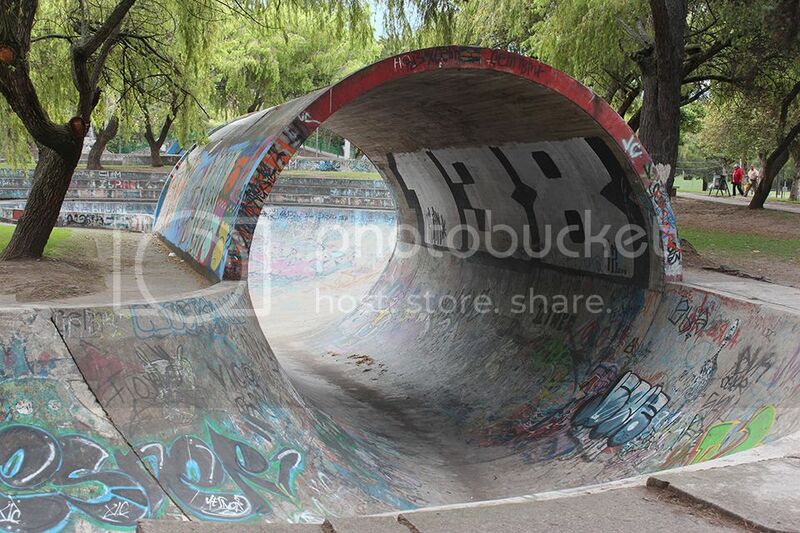 Due to this, as you could guess, the park is mainly snake runs and bowls, with a full pipe added in. The only way to get enough momentum to skate the pipe is to roll in from a high point on the run and carve your way down. It took me a few goes to get it, including a nice slip up on the graffiti, but I nailed it in the end. It is such an overwhelming feeling being able to travel to another country and so easily get along with a group of people. Skateboarding is truly a global culture. It transcends nation’s borders. In Bogota I met up with one of David’s friends, Juaner Romero, who runs Alianza and VIVE. 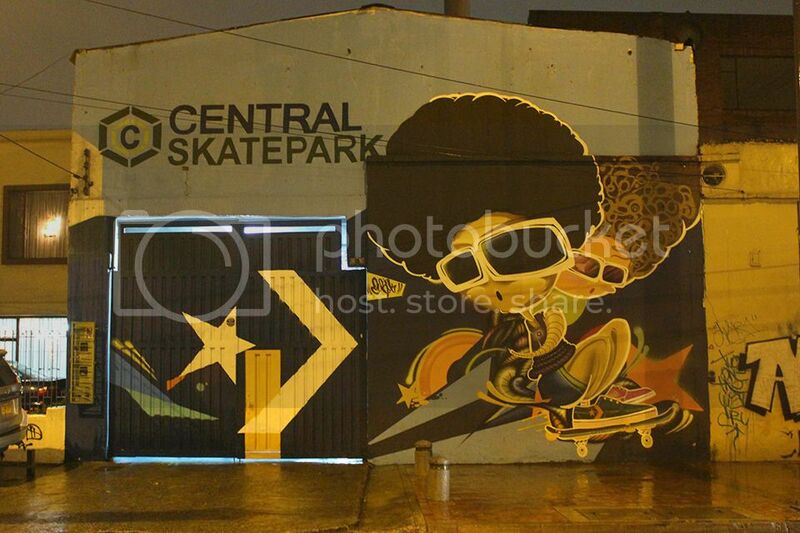 As it teamed with rain one night we skated Central Skatepark with his friend James Arias. The small wooden park is built in a warehouse with a CP$12,000 entry fee and closes at 9pm each night. The park has a decent layout with a quarter and a roll in at one end, street in the middle and a smaller quarter and a bank at the other end. The short period of time I had there was long enough as there’s really only one line of direction you can go in. I joined James for a weekend street mission, starting at a well-known spot in downtown known as Telecom. When I got there, James introduced me to his friends Fabian Velandia Caro, Cristian Hoyos and his brother Jeank who were skating some ledges and stairs in a derelict looking plaza. As Jeank continued to point out the number of junkies walking past I was informed the proper Bogota ghetto started three blocks away so I had to be careful with my camera. Within half an hour of me arriving around 20 other skaters turned up, surprisingly the police stationed close by didn’t seem to care. When we moved onto a different spot we ran into a friend of James’ called Dan and another guy, Christian. They were heading to a bowl that I was keen to skate so I went for a walk with them back through historic La Candelaria to the edge of town. We only got to skate for a few minutes before it started to rain and we hid for cover under a shop awning. When the rain subsided we walked back towards downtown, stopping at Plazoleta del Chorro along the way and buying a one litre glass bottle of Chicha (fermented corn beer) for 4,000 pesos. It came wrapped in a paper bag with straws for our convenience to drink while walking through the street. Alcohol laws are far more chill in Colombia than Australia. 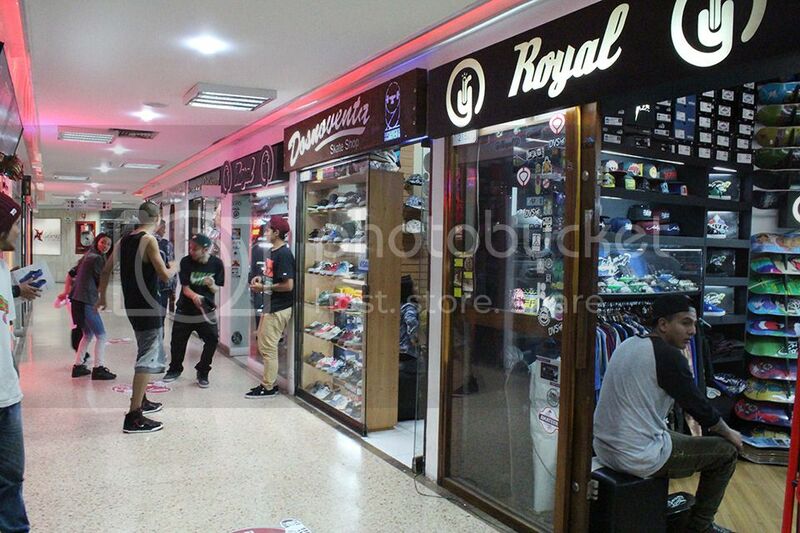 We made our way to a skate shop I wanted to check out in a suburb called Galerias. Instead of taking a bus, we walked and skated which took at least an hour, though we were able to see more of the city as we went. Galerias appeared similar to downtown with its main street lined with shops and stalls though just a bit cleaner. Inside one of the major shopping centres Cristhian and Dan showed me a strip that had at least twenty skate shops side by side. I was blown away. I couldn’t understand how they could all possibly stay in business. The majority of them had customers at the time as well. My friends showed me a number of Colombian brands including Amatuer who make their own shoes, boards and apparel, which I thought was pretty admirable. Around the corner from the mall were rows and rows of skate shops. I couldn’t believe my eyes. Possibly 50 of them. There was even a dude selling shirts out of his van on one of the street corners. A lot of the shops weren’t just straight up skate shops. They sold a lot of novelty and lifestyle items that skate brands had manufactured. Many of the shops gave off a surf shop vibe, akin to City Beach gives, targeting the common denominator. It hit me that the whole city is run off consumer culture. If people have money they spend it and shop owners make sure of that. It’s difficult to walk into a place and to not walk out with something. Buying skate brands seems to be the cool thing to do, even if you don’t skate. 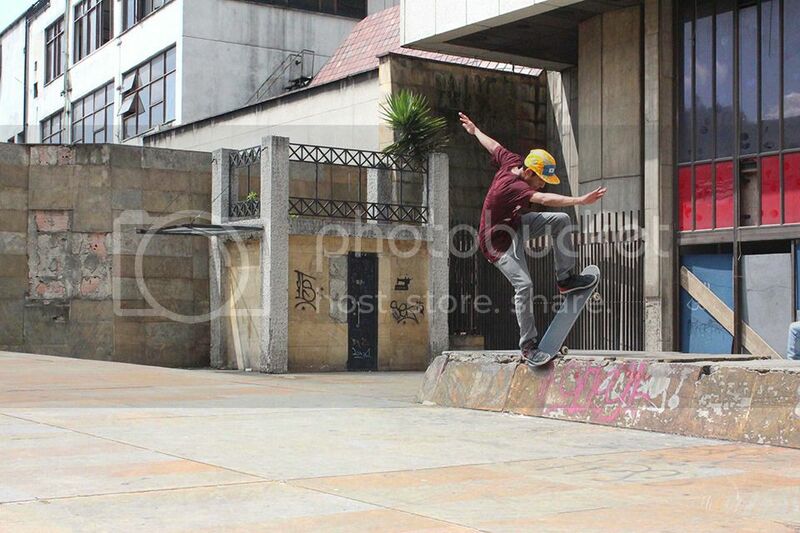 Galerias basically a suburb dedicated to skateboarding and it’s lifestyle in Bogota. I had asked James earlier that day if there were any Colombian skate magazines. He told me there wasn’t and ones in the past had failed because no one would buy them or people would just read their friend’s. After seeing so many shops one after the other with people constantly buying products this puzzled me, though I guess buying a brand looks better than a magazine that you can’t flaunt. My visit to this area of Bogota was drawn to a close as fireworks signalled the end of a football match and people started flowing out onto the streets as rows of riot police took their positions. My friends told me that those fans were crazy people and put me in a taxi back to my hostel before it got too intense. Hanging out with locals is the best way to experience a new place. As well as this, you never cease to see the real deal with skateboarding. No tourist cover ups here. 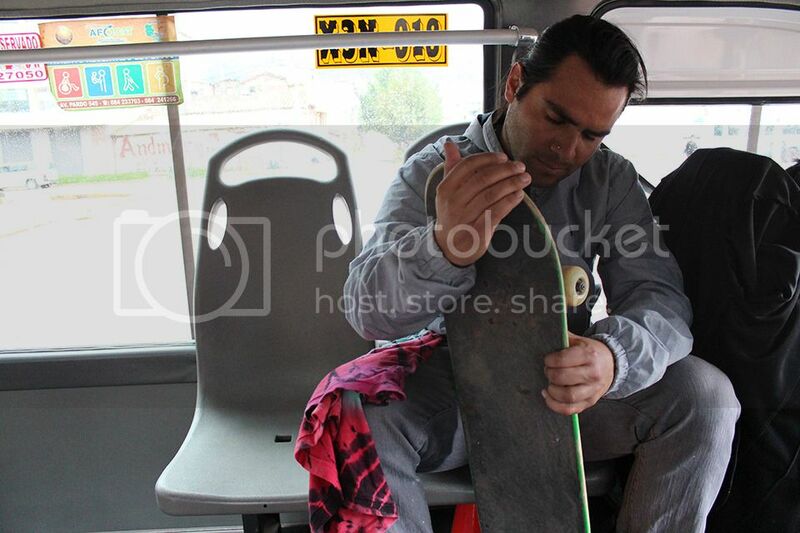 Once in Cusco, I met up with a friend of a friend, Jorge Gomez Silva and caught a bus to Arapa Skatepark for s/0.70 (Peruvian Soles). When we arrived we were greeted with rain so we took shelter under the awning of a convenience store until it subsided. Jorge informed me that there are a handful of parks in Cusco though the one in Arapa has the best concrete surface by far. To my surprise the majority of the park dried up within ten minutes, allowing us to skate for around 2 hours before it started to rain again. While I was there I met a young girl who mentioned it was difficult for her to start skating because her parents don’t believe skateboarding is for females. It was really nice to see that she had taken a strong move once she had finished school to learn to skate and make her own decisions and value judgements. She also told me about an organisation based in Lima called Peru Skate Girl that supports women skateboarders in Peru. Near the main city square are about four skate shops, though only one, Backside , is really worthwhile as some of the others don’t even sell boards and just cater to people who like skate clothes and style. I had been told of two Peruvian magazines, Slide and Grind (both extremely original titles), that I wanted to try and get my hands on. Backside only had outdated stock of Slide and Thrasher. The owner ended up selling me a back issue of Slide for s/5. We hunted down a copy of Grind at another shop though the guy wanted s/20 for it, even though it was also out of date and clearly had the retail price of s/10 printed on the front cover. This pricing structure baffled me, as did the fact that no shops sold the current issues of magazines and only stocked editions from one or two years ago. Even before I had left Australia I had been told by many people that Lima has the best parks in South America. “They have a Converse park!,” I would be told and now I find myself saying that as well. 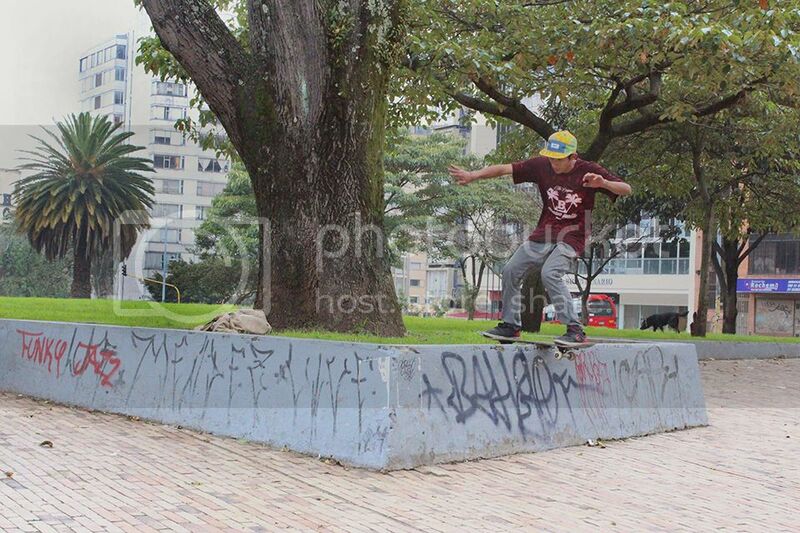 It is true, the parks are the smoothest and it is the hub of Latin America skateboarding. 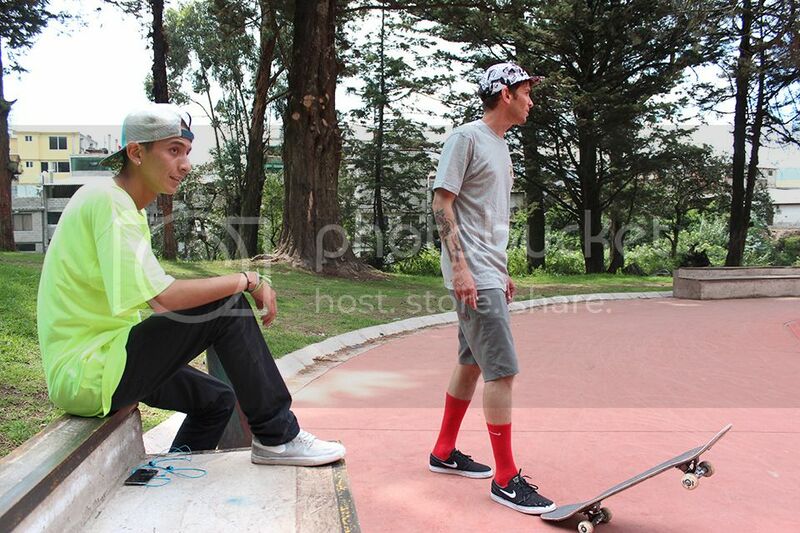 Many people I met said they would move to Lima solely to widen their exposure in the skate realm. A few friends had also told me about a bar in the suburb Surco called Hensley Bar which has a mini ramp inside and is heavily influenced by skateboarding and rock music. Unfortunately when I went to check the place out we weren’t allowed to skate the ramp due to how noisy it is. Let’s hope this isn’t a permanent decision they’ve made as it looked extremely fun. Coincidentally, my friend Israel was in Lima at the same time as I visiting family, so he was able to help me navigate my way around the city and sketchy public transport system. 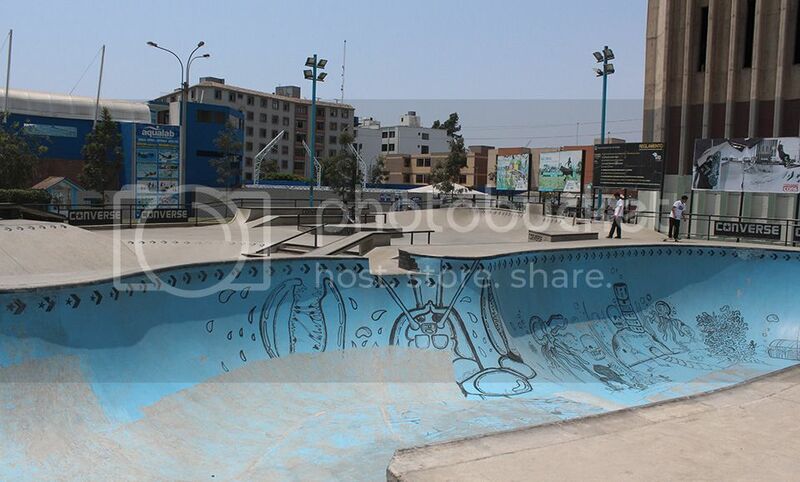 The first park we skated was the Converse park in San Borja, consisting of a pretty good street section and a huge bowl with pool and normal coping. It took me a good few days to really get used to skating there, though I was in the same situation with most of the parks I visited. The park is situated in a huge sporting complex, surrounded by the likes of tennis courts, football fields and running tracks. Due to this, the park has lights until 9 or 10pm, though once they’re shut off a security guard will generally walk around and instruct you to leave. If you’re lucky, he won’t turn up for a while, which couldn’t be more perfect. Only a few of us would be left skating, which led to some amazing bowl sessions including four people trains. 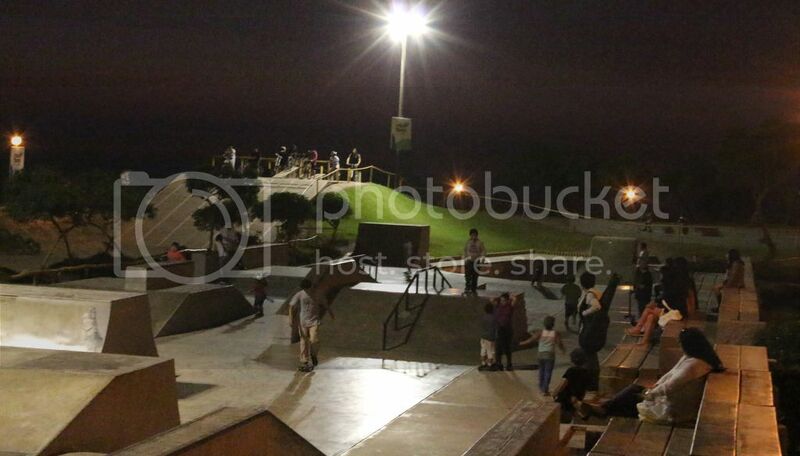 The Surco park was also fun to skate and closed at 9pm each night. My friend Juan and I turned up there one night just as it was closing. He was able to convince the security guard to let us in though after five minutes police came and kicked us out. 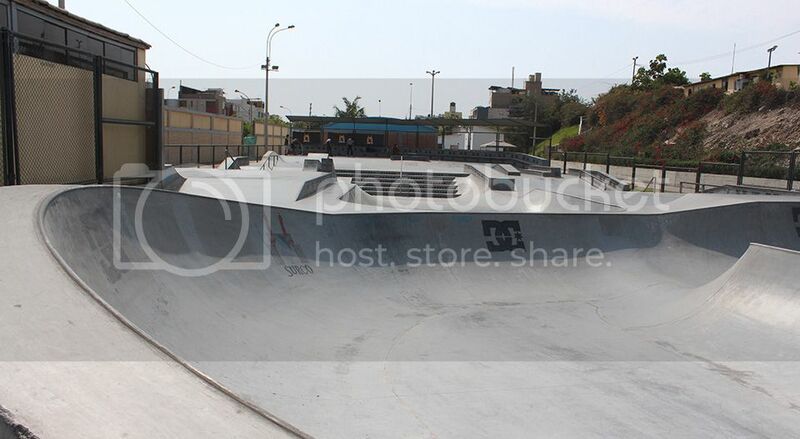 Larcomar skatepark in Miraflores is very picturesque as it sits by the beach though all the transition is extremely steep, including a bowl with a huge roll in and it doesn’t flow as well as the Converse park does. Next up from Tessa Fox: Arequipa, La Paz, Valpariso, Santiago, Sao Paulo, Rio de Janiero.